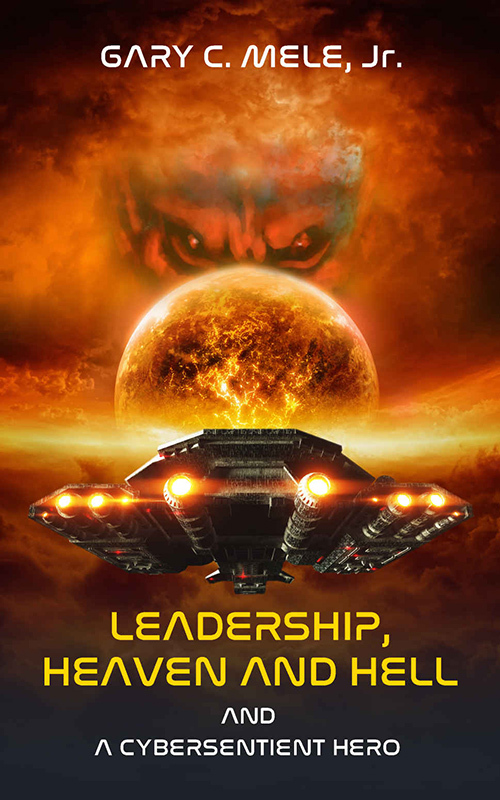 Leadership, Heaven and hell; a Cybersentient hero is the story of how the human race must go to the most extreme methods in order to survive. The Earth, our home, has ceased to revolve causing half the planet to plunge into a devoid new ice age, with the other to burn in the scorching heat of the sun. Refugees of our planet stream out into the safety of the great unknown, space. After 20 years, resources are depleting and a method is required to survive without the requirements of a human body, an upgrade. This is the story of Samuel, and his cousin Eve, as he approaches his segue into a Cybersentient, the next step for the human race. The process is not simple or safe and not everyone makes it through. The threat of being hijacked by ‘demons’ in the middle of the process is very high and a risk which they have lost many inhabitants too. With leader Byallanon seemingly up to something, anarchy begins to develop within the ranks and something must be done to stop the destruction of the Cybersentient race. One of the most persistent themes within the book is that of the importance of family and the bond it holds. This story is driven by the relationship between Samuel and Eve and their closeness really ties the story together. The picturesque descriptions of the Cybersentients and their individual designs are incredibly vivid and provide a strong image for yourself whilst reading. Samuel’s journey shows him progress from an angst-filled young man to a confident individual, ready to take a stand. Eve’s charm and wit is a strong presence within creating a duo of characters in which you want to follow their adventure. The first published book from Gary C.Mele Jr give us an insight to the human condition and what we are prepared to do for future generations to survive. With aspects feeling like a mirror being turned on ourselves, Mele has crafted a story that really engages the audience to think about what we are doing to our planet and what could inevitably come next. Mele has drawn on many current events and has called this “My Sci-Fi answer to Trump.” The tone of the story reminded me of so many various franchises rolled into one creating an exciting read. So if you’re interested in a story with the essence of Doctor Who / Pacific Rim / Star Trek / Transformers, this is the book for you. This book flowed wonderfully and the pages flew past. Without realising, I was 330 pages in and it was sadly over. With a sequel in the works, this is a must read for any sci-fi fan especially at the bargain price of 99p on Amazon Kindle. + Leadership, Heaven And Hell is Out Now. + Buy this book from Amazon.co.uk & Amazon.com! + Follow Gary C. Mele Jr on Twitter.